The regulatory impact of our laws versus those of other countries should be considered as far as tariffs are concerned. It is not right that we have oppressive regulations that essentially prevent us from manufacturing goods and then import those goods from countries where they do not have to perform under the same regulatory requirements. For instance EPA- are their citizens not as harmed by environmental issues as our own? If our environmental issues are killing people, do we not think those same environmental issues are not just as harmful to their citizens? Now if you maintain that our environmental regulations are too onerous, you may have a point, but that is not the question. So, I would maintain we should establish the base cost of those environmental regulations and charge a surtax on countries that do not adopt them. In this way, they would be given the choice of either taking on the cost themselves, or suffering the equivalent tax. Secondly, our defensive readiness has been severely impacted by our lack of local manufacturing. In WW2, we were able to quickly convert auto factories, and machine shops into making the machines that we needed to fight a war against two oppressive regimes- Germany and Japan. Today, those two countries would quickly put us under the dirt. And if it was China- we buy most of our electronics from them. Do you think they would supply us with the necessary circuitry to fight a war against them? Our ramp-up time to begin manufacturing the necessary goods would be decades in a war that would likely last only a few years as we were forced into doping the bidding of our new masters. The shame of it is, they would beat us using technology that they essentially stole from us (not honoring our intellectual property laws) and then began to steal the world market from us. So, I do support some tariffs that would protect the things that we would need to defend ourselves. I think any reasoning person would agree. I would love to see a chart showing the relationship, if any, between trade deficits (or its inverse capital surplus) and GDP and wage growth. If trade deficits dont matter and are theoretically offset by capital surplus, then there should be no direct relationship between deficits and GDP or wage growth. 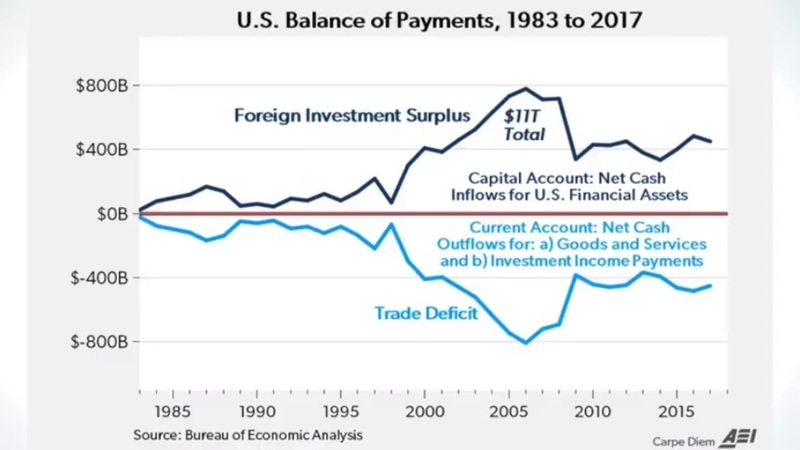 It seems to me the aneamic GDP and wage growth in recent years in the US has some direct relationship with increased trade deficits, despite capital surpluses; just as increased trade surpluses in China seems to be directly related to increased GDP and wage growth. 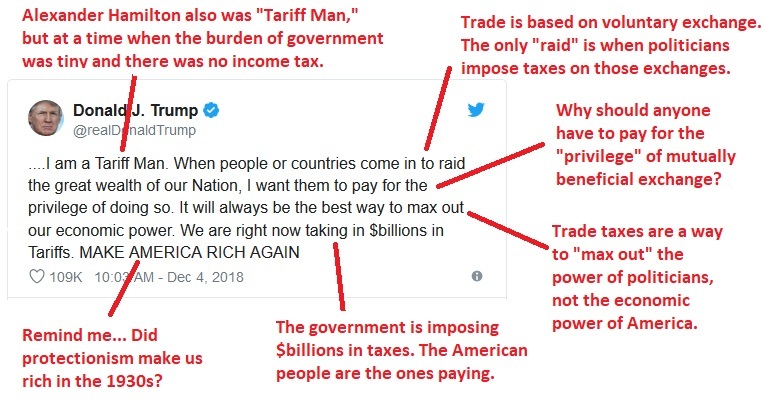 @bratfalean, there is nothing to finance with a “trade deficit.” But you’re right to mention China’s central bank since they help finance the U.S. budget. The problem is, who financing trade deficit ?? China Central Bank? ?